AngelList, the online platform that matches startups with early-stage investors, has grown by leaps and bounds since its 2010 founding — and so have its ambitions. In fact, the company, which already bills itself as both the biggest seed-stage firm in the world, and the world’s largest hiring platform for startups, also aims to become the biggest venture fund in the world. Earlier this week, we sat down with cofounder Naval Ravikant at the firm’s swanky new, three-story digs in San Francisco’s Jackson Square, and as workmen shifted planks around the nearly completed ground-floor level, Ravikant caught us up to speed on a many aspects of what’s happening at AngelList . Ravikant shared how that relationship is evolving, and why he thinks CSC’s money is just the tip of the iceberg for both AngelList and Silicon Valley more broadly. Our chat has been edited for length and clarity. TC: Let’s start at the beginning. Who is managing this $400 million from CSC? NR: It’s a fund called CSC Upshot that’s managed by CSC’s Veronica Wu, who used to be a VP at Tesla Motors in Beijing; Ming Yeh, who’d spent the previous six years or so as a managing director at [Silicon Valley Bank] in Shanghai; and Tom Cole, a former partner at Trinity Ventures. TC: How much have they invested in startups on AngelList so far? NR: They’re on track to invest between $25 million and $40 million this year, with an average check size of $100,000. TC: Wow, that’s quite a pace. How does the decision-making process work? NR: We’ve built a dashboard for fund management, and all these managers [have signed nondisclosure agreements] so they get to see literally hundreds and hundreds of deals on AngelList. And they chat with each other and [with the lead investor’s approval], if enough people vote yes, the deal gets done. TC: How much time do they have to decide? NR: In some cases, these are three-day deals, deals that are expiring. In other cases, these are deals that are coming up and have a longer timetable. TC: Silicon Valley investors seemed flummoxed somewhat by investors by China. You hear stories about last-minute demands to change deal terms, for example. Is it cultural? NR: I don’t think it’s a cultural thing. I think it’s a late-stage investor thing. The Wall Street hedge funds that have been investing in [unicorn companies] get the same knock. They try to put in non-standard terms at the last minute. That’s just how they’re used to doing business. When you invest at a later stage, it’s all about the deal. “Let’s squeeze every dollar out of the deal.” That’s how they get paid. When you’re doing early-stage investing, it’s about who the right entrepreneur is who can get product-market-fit, because if they do, it’s a 10,000x return; if they don’t, that investment can go to zero. TC: How would you describe your interactions specifically with CSC? NR: They’re far easier to deal with than the U.S. investors I’ve dealt with. If you go to a U.S. investor and say, “I’m going to get you access to the top seed-stage deals in Silicon Valley,” to them it’s like, “Yeah, but I could set up my own team,” or, “I know such-and-such investor in the Valley already.” In China, if you say, “Hey, you can put matching dollars behind people betting their own money,” they lean forward. TC: You’ve said you expect much more money to come into Silicon Valley from China. How do you see that playing out? NR: In China, you can find multibillion funds that essentially behave like family offices. They also just have a lot more capital to deploy, including because it’s not already committed to existing funds, and because capital controls are just starting to be relaxed in the last few years, enabling people to get some of [their money out of the country]. In the U.S., after World War II, the U.S. created the largest middle class in the world, with 150 million people. And 150 million people generate lots of savings; it drove the global economy for 30 to 40 years. The Japanese did the same in the ’80s, when their middle class came online. That was 100 million people, and their savings got deployed across the world. Now we’re seeing the Asian tiger countries come up and do the same. With China, you’re getting a middle class of 600 million people. It’s the largest middle class the world has ever seen. Their savings are absurd; they don’t where to put it. TC: With so much money flooding out of the country, do you think China could clamp down on those assets in some way? NR: China could clamp down and close everything up, but I think it’s extremely unlikely at this point, because China has crossed the chasm. There are more winners than losers in China in this economic age. The other thing they could do is open the floodgates. It could easily go 10x from here — this trickle could become a tsunami of capital — and I think it will. And where is it going to go? Today, government bonds are paying negative interest rates. Stock markets and real estate are pretty heavily valued on an historical basis. And all the innovation is coming out of tech. So I think people are realizing they have to go to where tech is. China is creating its own tech; Shanghai and Beijing are powerhouses. What happened with Didi and Uber is just the beginning. But Silicon Valley is going to be heavily Chinese money, too. 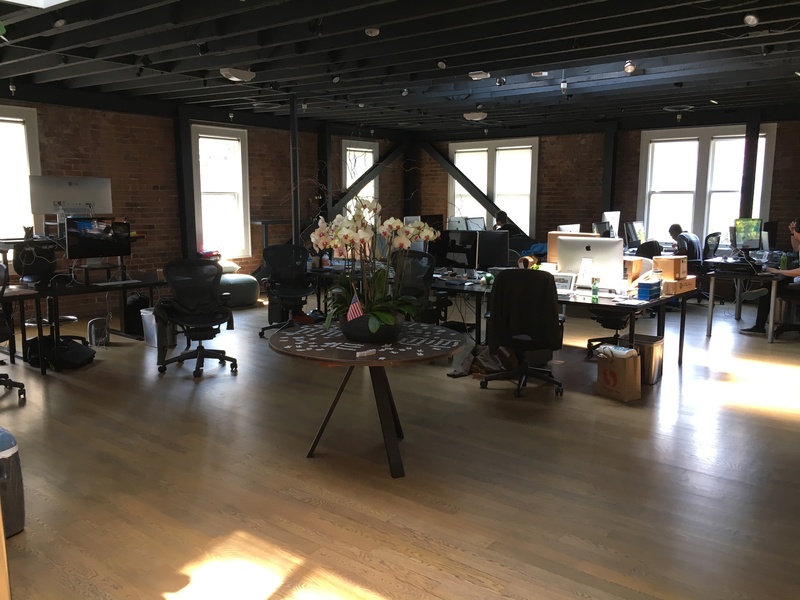 Pictured above, the top floor of AngelList’s new office in San Francisco.